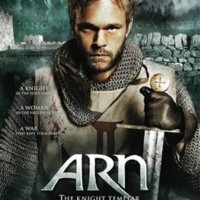 If you want to see a serious Crusades movie, Arn: The Knight Templar (2007) will be a general disappointment. Adapted from Jan Guillou’s famous Crusades trilogy, the movie did not even achieve half of the book’s success among its fans, or the relative commercial success that Kingdom of Heaven (2005) enjoyed among the general public. Director Peter Flinth failed many people’s high expectations, as the movie was both a joint production of all four Scandinavian nations and Germany, and the most expensive one in Swedish history. Released around Christmastime in 2007, Swedish people overwhelmed the cinema with $2.2 million worth of ticket sales in the first two days. The film industry even honored it with three local awards and two other nominations, but still, we could hardly call the total $21 million worldwide gross a success. When the international version released, it received a mixed rating of 6.6/10 on IMDB. The overall reviews coming out of Sweden and other countries argued that Arn was just a mediocre production. The opening scene shows Arn and his companion protecting Muslim merchants who are harassed by bandits was the most promisingly and breathtakingly shot scene in the movie. The film flashes back to Arn Magnusson as a young noble boy who is raised in a monastery in Sweden. Seemingly unfit to be a monk, a former Templar teaches Arn the art of swordsmanship. In this monastery he also meets Cecelia, the love of his life. He returns to his family when he comes of age and helps settle a dispute between his clan and another one. As Arn and Cecelia prepare to marry, they are forced to leave each other after false accusations are leveled against them, and they are assigned penances of twenty years each. Cecelia enters a convent and Arn goes to the Holy Land to become a Templar Knight. The movie then returns to Arn in the present. The merchant he saved at the beginning of the film turns out to be Saladin, the Templar’s chief enemy. Saladin thanks Arn for his aid, but also warns him to leave Jerusalem, as he will soon move against the Christians. Arn and his brother orchestrate an ambush on Saladin’s army and win a great victory later. Arrogance, however, clouds the Templars’ judgment, and the Crusaders suffer a disastrous defeat at Hattin. Saladin, however, saves Arn and allows him to leave. Returning home, Arn marries Cecelia, uses his skill as a Templar to help his family, and defeats his rivals who had framed him. Despite its disappointing theater performance, the movie did a decent job relating certain historical themes. Instead of characterizing Crusaders as fanatics, the movie tried to explore the motivations for why people came to the Holy Land. Although crusading often engaged with violence, the act itself was framed as an expression of love and a concern for saving souls. One could have salvation if he or she “should not hesitate to take up the way of the Lord,” as an anonymous Chronicler observed in the Gesta Francorum, which was an account of the First Crusade. 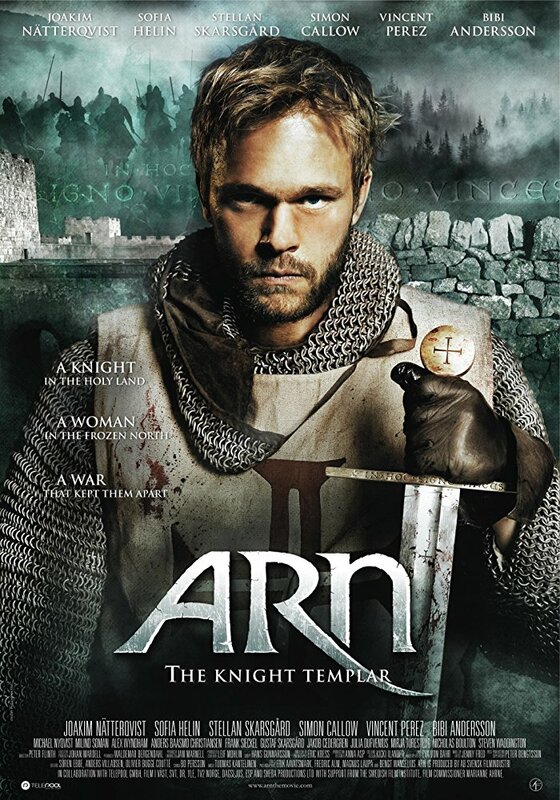 In the movie, Arn had a similar motivation: He came to Holy land to carry out his penances so that he could return home later and marry Cecelia. Besides this individualistic exploration, the movie also romanticizes the twelfth-century Levant. The Muslim conquest, the destruction of the Kingdom of Jerusalem, and the famous Battles of Montgiard and Hattin are all vividly depicted in this film, which shows a turbulent time in the Near East and the rise of major historical figures like Saladin. The most surprising element of the film was its depiction of medieval Sweden. Post-Christianized Scandinavia hardly is shown in popular films, only because Norse culture associated with the pagan Vikings dominate the narratives of most films set in medieval Scandinavia. But the audiences here get a taste of medieval Sweden in the high middle ages. Factionalism and tribal politics, for example, is illustrated by the struggle between Arn’s aristocratic family and its rival, which all had professional warriors and enjoyed autonomy under the auspices of a relatively weak royal house. The film also shows monastic life in Sweden, where, the monks in Sweden preserved and passed down knowledge, while also promoted literacy and taught nobles like Arn how to read and write. Ruisen Zheng, “Arn: The Knight Templar (Arn: Tempelriddaren, 2007),” Medieval Hollywood, accessed April 24, 2019, http://medievalhollywood.ace.fordham.edu/items/show/65.